As the chart below shows, mid-cap stocks have outperformed large- and small-cap stocks by a meaningful margin since 1995. Yet most investors and asset allocation models tend to weight small- and large-cap asset classes more heavily. Baird Equity Asset Management believes these investors are missing out on returns and, in many cases, accepting greater-than-necessary risk. 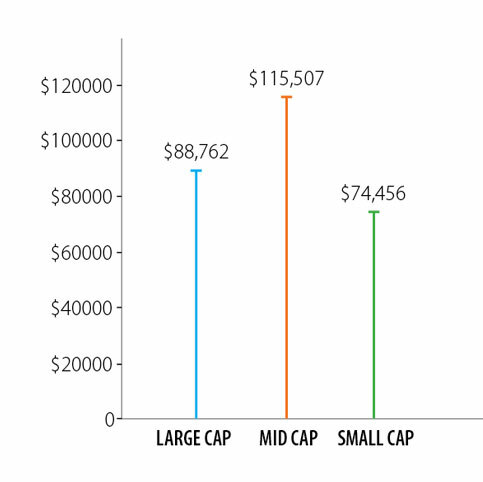 Mid-cap, large-cap and small-cap stocks as defined by the Russell Midcap Index, Russell 1000 Index and Russell 2000 Index, respectively. All data is as of 12/31/2018. 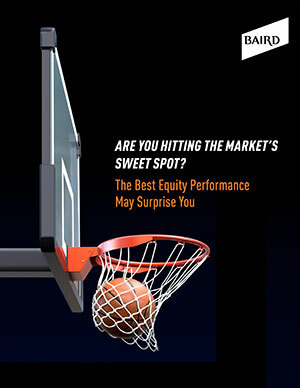 The Russell Midcap Index measures the performance of the 800 smallest companies, by market capitalization, in the Russell 1000 Index. The Russell 1000 Index measures the performance of the 1,000 largest companies in the Russell 3000 Index. The Russell 2000 Index consists of the smallest 2,000 companies in the Russell 3000 Index. It is not possible to invest directly in an index. The Russell Indices are a trademark of the Frank Russell Company. Russell is a trademark of the Frank Russell Company. Download our complete paper to learn more about the opportunity we believe many advisors and their investors are overlooking in this under-utilized asset class.